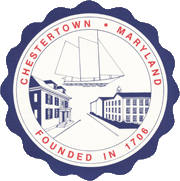 STATE OF THE TOWN: The Charter of the Town of Chestertown states, “The Mayor, during the first quarter of each calendar year, shall report to the Council the condition of municipal affairs and make such recommendations as he (she) deems proper for the public good and welfare of the town.” Herein is said report. $ 15,621,447. The increase in net assets was due in part to a major increase in capital grants utilized during the fiscal year, primarily for upgrades at Chestertown Marina. In fact, capital grants overall increased from $1,089,532 in 2017 to $2,981,663 in 2018. 1. To provide a meaningful tax differential to the Town for the services that we provide the taxpayer that they would normally have to provide. Those services would be things like police protection, road maintenance and snow plowing, planning, and the administration of these services. Our taxpayers pay taxes for these services twice. 2. To apply the Hotel Tax to Air B-n-B’s and other forms of room rentals that avoid this tax and adversely impact the tax-paying hotels and bed-and-breakfasts in the community. The Town continued to retain the Homestead Property Tax Credit percentage of 5%, which limits the increase in a homeowner’s property tax bill to 5% in any given year, no matter how much their assessment has increased. STAFFING: The Town has 38 full time employees and 4 part time positions. They do an amazing job of providing services to all 5000+ taxpayers living on 25 miles of roads and streets. Three of our part time employees work at the Visitor’s Center, where we greet thousands of tourists coming to see Chestertown every year. Chestertown’s eligibility for State and Federal grants was critical to the success of this initiative. Agencies that supported improvements at the site included USDA, Maryland DNR’s Waterway Improvement Fund, the Maryland Department of Housing and Community Development, and the Maryland Heritage Area Authority. Numerous individuals have also made incredibly generous donations to the project. attractive streetlighting, landscaping, and lawn areas adding to the appeal of this project are the efforts of Washington College on their waterfront campus just downriver, where they completed the impressive new Hodson Boathouse and broke ground on the Semans-Griswold Environmental Center next door. These waterfront sites will all be connected with a walkway that already begins at High Street, and will eventually stretch south along the Chester River to just past the Armory building. The Eastern Shore Land Conservancy has graciously volunteered to coordinate a study of the trail locations, types of surfaces that could be used on the walkways, and opportunities for funding as a good will offer. Incredibly, by year’s end, the lion’s share of the work was completed. Remaining items on the “punch list” for 2019 include the removal of the large metal storage building, the final top coating of asphalt on the parking areas, the installation of landscaping at the entrance to the site, an extension of the boat ramp, and the construction of two fixed finger piers in the boat ramp basin. CHESTERTOWN/DIXON VALVE BUSINESS CAMPUS: Meanwhile, across Town some other amazing developments were occurring at the Chestertown Business Campus. The extension of Haacke Drive into the Campus has been completed all the way to Warner Drive, where Dixon Valve’s 148,000 square foot warehouse is being completed and plans for the 70,507 square foot Corporate Headquarters Building were approved for an early January 2019 construction groundbreaking. The warehouse will be equipped with state-of-the-art technology for shipping and storage of Dixon’s products. LAMOTTE AND SHORE DISTRIBUTORS: Other industries added to the spirit of prosperity last year with LaMotte Chemical adding 8,700 square feet of industrial space connected with their newest innovative process and Shore Distributors added 4,300 square feet on College Avenue. Both of these exemplary businesses have been in Chestertown for over 50 years! CHESAPEAKE MOVIES: On the commercial side, the Town took joy in the opening of the Chesapeake Movies on October 12th in the vacant theatre at Washington Square. The reopening was a group venture with the Chesapeake Movie group, the Kent County Commissioners, the owners of Washington Square and the Town. The County advanced the Theatre group a gap loan of $75,000.00 toward their reopening and the Town pledged the anticipated Admission and Amusement taxes to repay the loan. Financials indicated that this could be paid back to the County loan program within 5 to 6 years. LUISA D’A CARPENTER PARK: The Town received funding for a DNR Community Parks and Playground Grant received for $138,400 to include a walking trail, renovation of the basketball park and a pavilion at the Luisa D’A Carpenter Park. It is anticipated that these improvements will be implemented in spring 2019. RAIL TRAIL: Phase IV of the Rail Trail has been fully approved by the Maryland Rail Administration for construction and the State completed their major stormwater project under the rail easement that crosses the LaMotte valley. Grant funds have been received from Bikeways for the construction of this segment, but their funding now requires a 50% match of local funds, making it a budgeting issue for the Town. This final leg will go from MD 291 to Foxley Manor. SALE OF SURPLUS PROPERTY: The remaining vacant lots on Lynchburg Street and Hawkins Lane were sold in February to one of the neighborhood churches that hold services in the community. Their interest is to expand in the future and stay in Chestertown, rather than moving to a more rural location. One lot remains of the original Old Garnett School lands. Its frontage on College Avenue makes it most suitable for infill single family housing for a deserving low-and-moderate income family. This type of project is being pursued at present with a local household. The property owned by the Town at the intersection of MD Route 20 and MD Route 514 was declared surplus by ordinance. It will be appraised and offered to the neighbors who are somewhat landlocked by the parcel. BUILD GRANT. 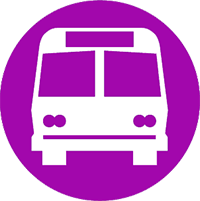 This year the Town submitted a major grant application to the BUILD grant program (Better Utilizing Investments to Leverage Development), which is an infrastructure improvement initiative administered by the U.S. Department of Transportation. Town staff worked with staff members from Dixon Valve and Chesapeake Charities to submit a $4.5 million request for funds that would be used to repave 13.4 miles of streets in Town, improve signage, make crosswalks ADA compliant, improve safety for pedestrians, and improve stormwater collection on the first three blocks of High Street. Though the grant was not funded after the national competition, it will be re-submitted by the Town in 2019. SPECIAL EVENTS AND VISITORS CENTER: This was a very big year for special events in Chestertown. On many weekends our streets were alive with festivities starting with Chester Gras; then the Tea Party featuring the Budweiser Clydesdales; the National Music Festival in June followed by Fourth of July fireworks, Legacy Day, the Jazz Festival; the first ever block party on Cross Street hosted by DCA and Main Street in September; the HP Festival; Downrigging Weekend; Cars on High running from April through October; an incredible Dickens Weekend and a beautiful Holiday Season featuring the Hebe Fountain transformed into a Christmas Tree by Zane Carter, Ed Minch, Jon Hanley and Rob Glebe. FARMERS AND ARTISANS MARKET: The death of Owen McCoy, the Farmer’s Market Manager, in July was a very sad occurrence for the Market and the community in general. Owen had been at the helm for decades and was very popular at the weekly event. Owen can never be replaced but we were fortunate to have his daughters Kailee McCoy and Danya (McCoy) Benton step in and take over management until December 31. During the fall of the year, the Town and all the vendors worked on promulgating new Farmers Market Rules and Regulations. After several rounds of discussion, general agreement was reached on updated guidelines which will go into effect in February 2019. LONG RANGE STATUS OF THE HOSPITAL: The status and existence of our local hospital is a continual concern to the Council. Ken Kozel, representing The University of Maryland Shore Medical Center at Chestertown talked with the Council late in the year and reported that Compass Regional Hospice opened a four- bed residential center on the third floor of the hospital and that the hospital is currently staffed to 15 patient beds. He said that the hospital technically has 26 beds in total and the staff expands to service these beds in emergency situations. On another front, the local “Save the Hospital” group still meets and expresses their concern about the disappearing functions of the hospital center. CURB APPEAL, GARDEN CLUB AND DCA activities: This was another banner year for Curb Appeal and the DCA.